Being from a western culture, two main things struck me about the African culture. First, Africans have a strong sense of community and strength. Second, religion not only brings them together but it is the backbone of their life. Nowhere are communities, strength, and religion brought together more, than at funerals. 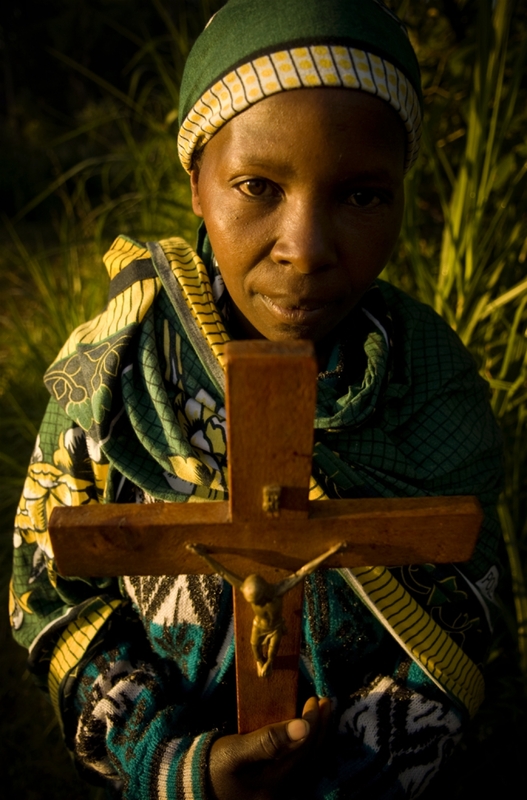 A woman carries her cross to morning prayer in Rombo, Tanzania. Religion is a major part of most Tanzanian lives. 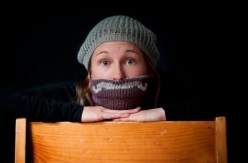 Photograph by Keri Oberly / © Keri Oberly. All Rights Reserved. Members of the Mkuu Parish move about before the start of Sunday Mass in Rombo, Tanzania. 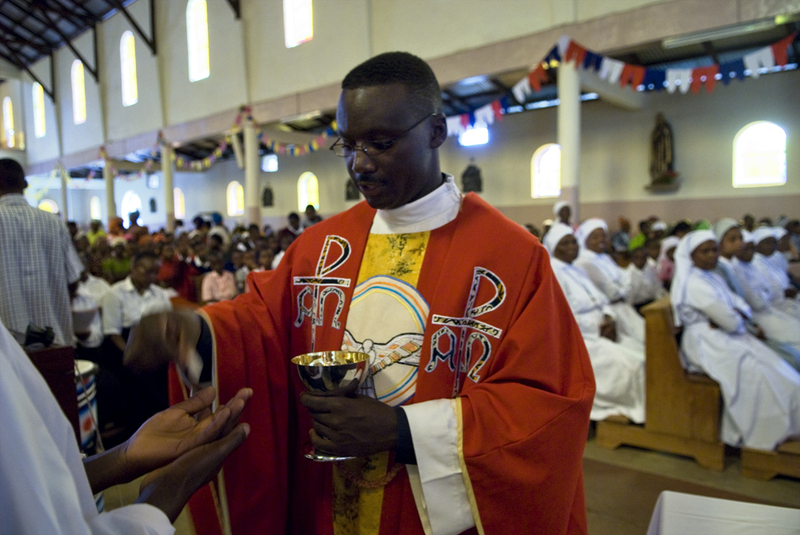 Father Simpliest of Mkuu Parish offers the body of Christ to a member of the church in Rombo, Tanzania. Religion is a major part of most Tanzanian’s lives. 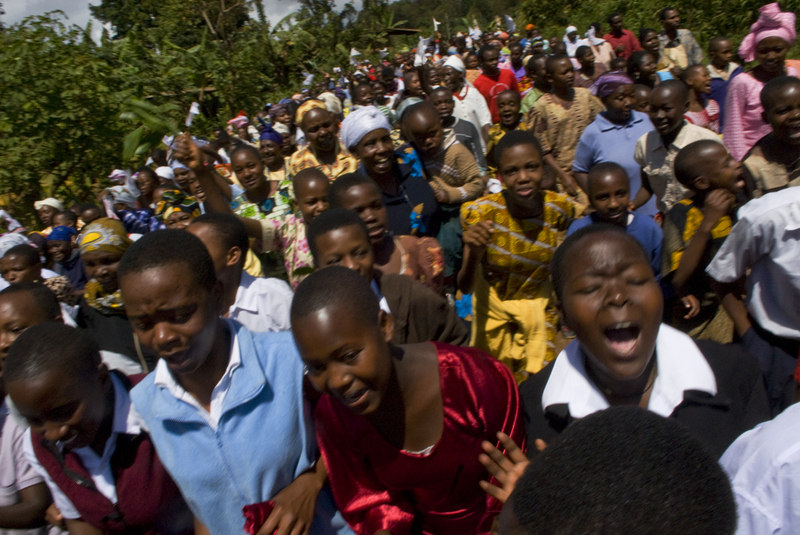 Congregates of the Mkuu Parish parade on the streets of Mkuu in celebration of The Eucharist in Rombo, Tanzania. 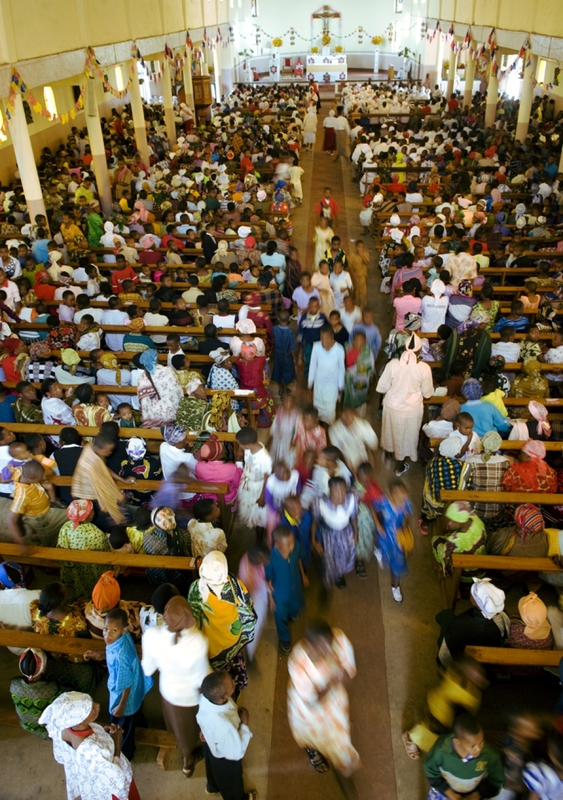 Religion is a major part of most Tanzanian’s lives. 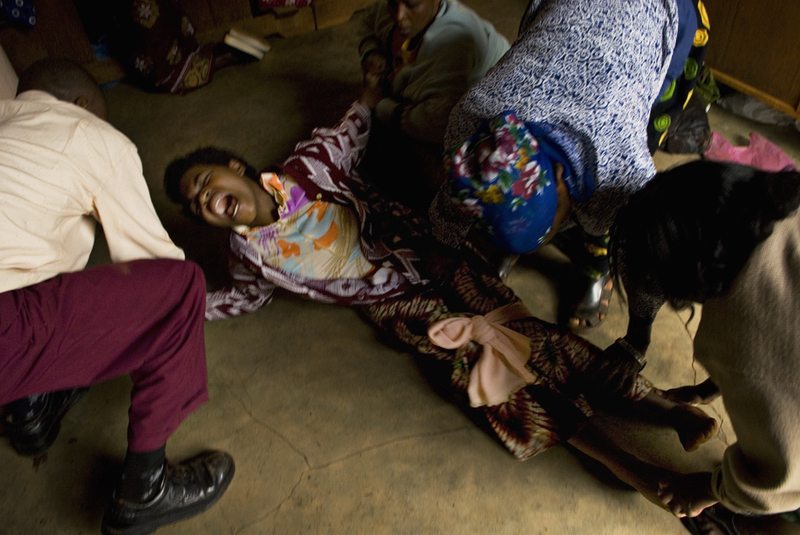 A woman becomes possessed during a church service in Rombo, Tanzania. 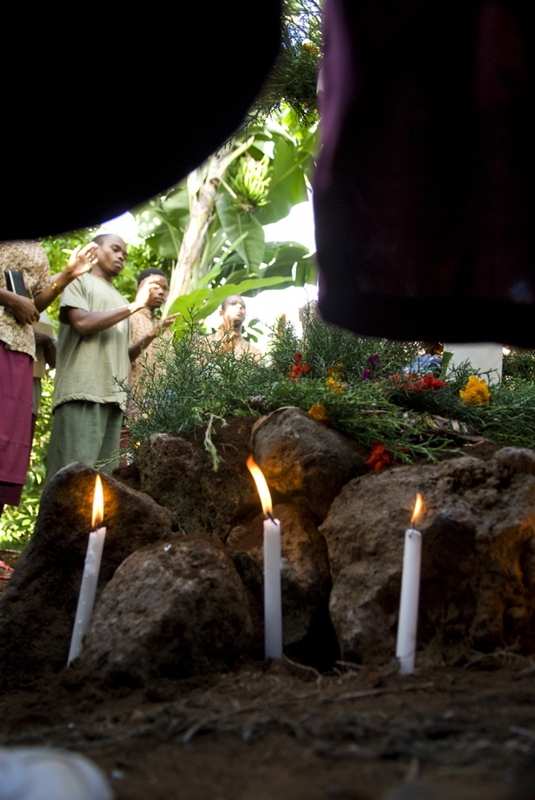 Saying a prayer over the gravesite of a family member and friend in Rombo, Tanzania. 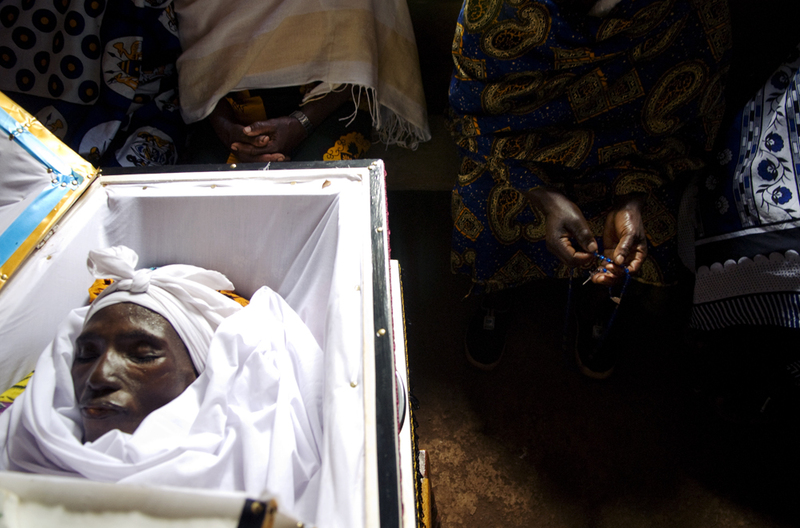 Family and friends mourn the life of a loved one during the funeral service in Rombo, Tanzania. 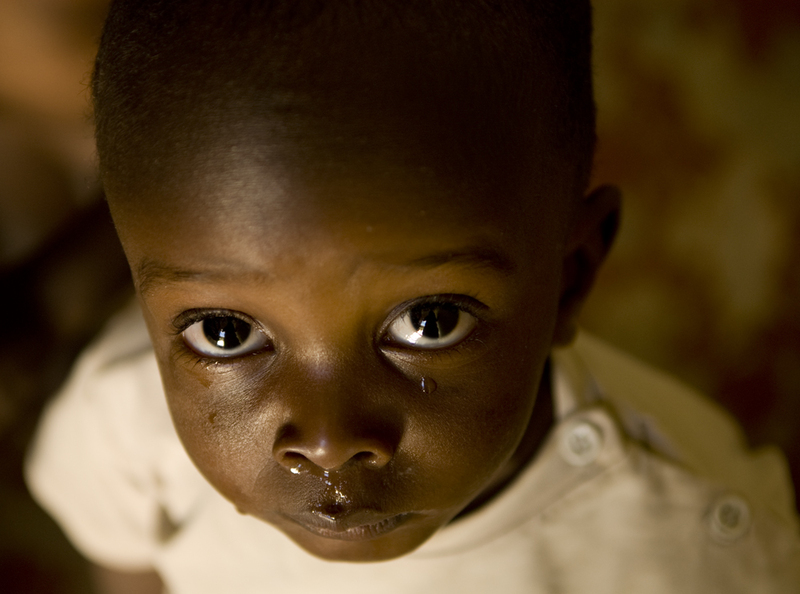 A young orphan looks up after crying in an orphanage in Rombo, Tanzania. 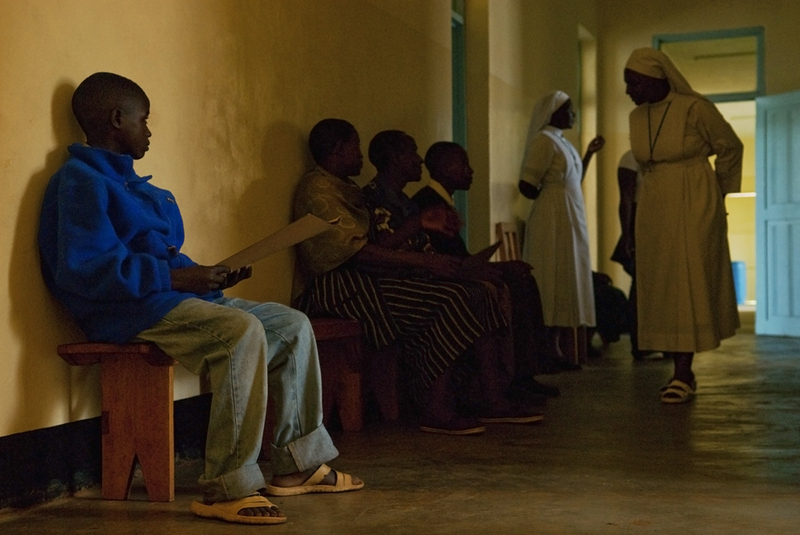 A young boy carries a folder of his life information, while looking for help at the Tumaini Center, local orphan support center, in Rombo, Tanzania. 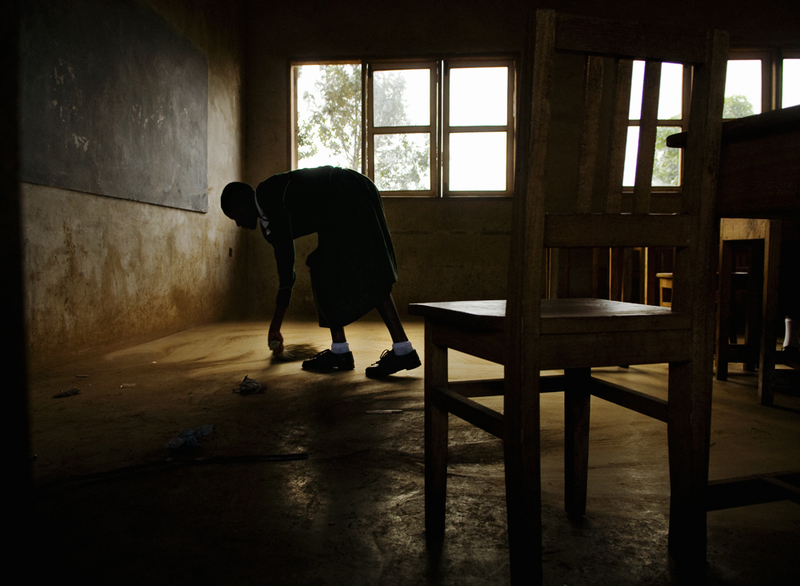 A young girl sweeps her classroom before the start of school in Rombo, Tanzania. 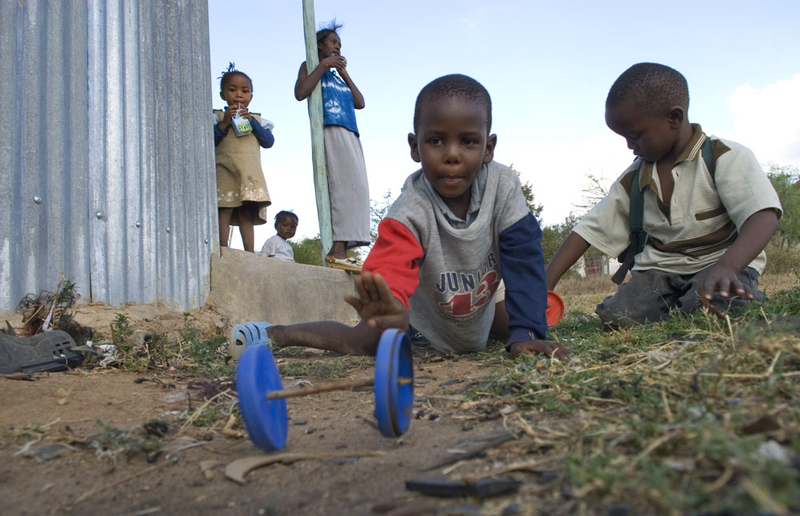 Young siblings play outside their home in Nairobi, Kenya. 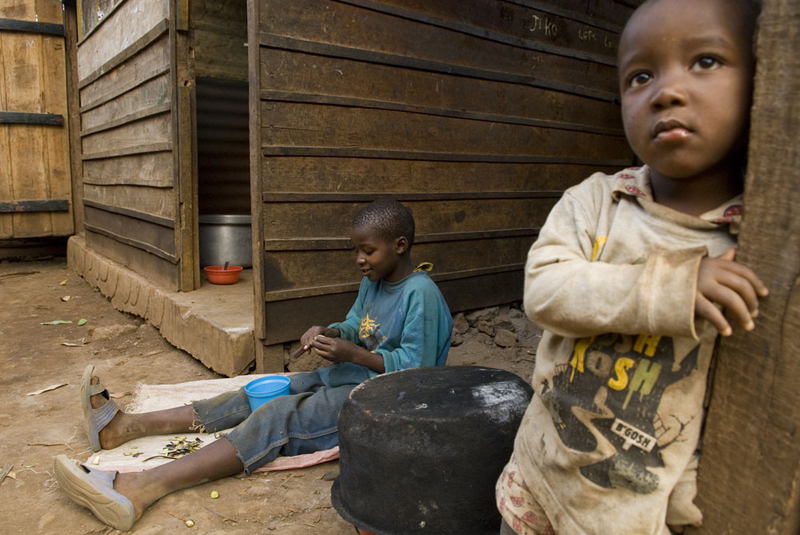 Two brothers help their mother prepare dinner in Rombo, Tanzania.